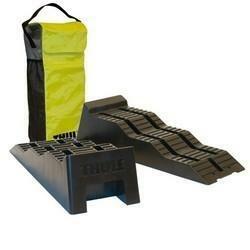 Thule Ramps Complete With Storage Bag The motorvanners favourite! Simple to use, sold as a pair and capable of taking up to 5 tonnes. Thule Ramps Complete With Storage BagThe motorvanners favourite! Simple to use, sold as a pair and capable of taking up to 5 tonnes.